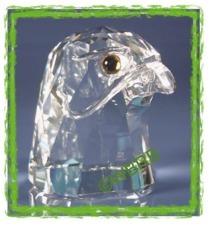 Library of Swarovski Crystal for F includes these retired Swarovski figurines: Swarovski Falcon Head, Swarovski Fawn, Swarovski Field Mice, Swarovski Field Mouse, Swarovski Flowering Cactus, Swarovski Fox, Swarovski Frog, and more as the library grows. Click on the Swarovski Crystal Name (in the 1st column) to locate the item in the Crystal Exchange America store. Click on the Swarovski Crystal Part Number (in the 2nd column) to locate the item in the Swarovski Database at WBRBOnline.com.